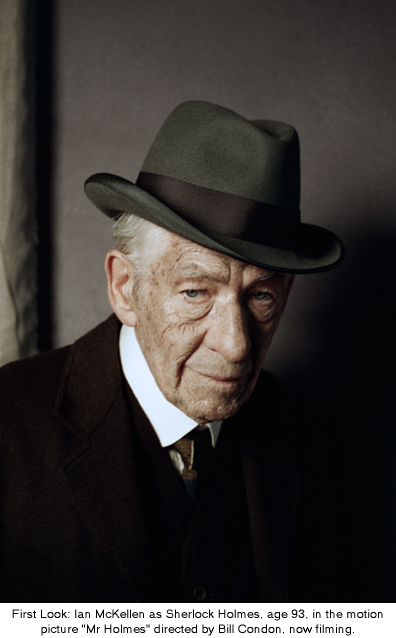 First Look of Ian McKellen as Sherlock Holmes. He plays as 93 year-old Sherlock Holmes. 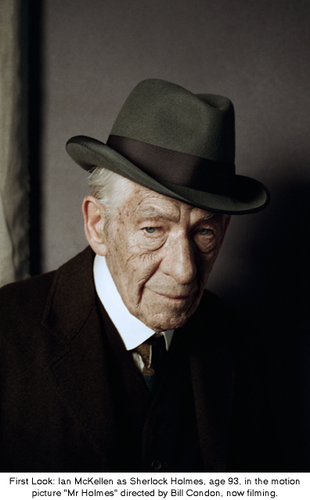 Wallpaper and background images in the Sherlock Holmes club tagged: photo sherlock holmes ian mckellen first look. This Sherlock Holmes photo contains suti biashara and biashara suti. There might also be fedora, waliona kofia, homburg, stetson, trilby, and kofia feli.